A completely new model was released by Volvo towards the end of 1989 - a compact sports coupe whose design echoed the lines of the legendary Volvo 1800 ES which ceased production in 1973. The new car was known as the 480 ES, and it was manufactured in the Netherlands. 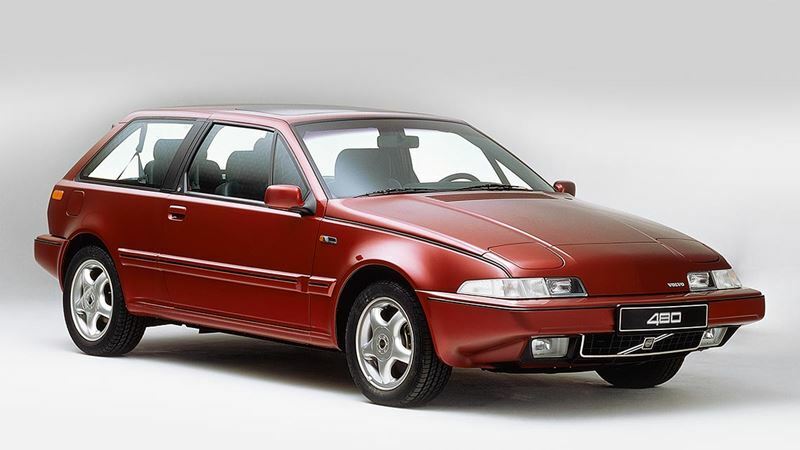 The Volvo 480 ES was new in every respect. It was also the first Volvo to be powered by a transverse engine driving the front wheels. The Volvo 480 quickly gained an enviable reputation for its excellent roadholding. The interior was very roomy and featured four separate bucket seats. Unlike many other contenders in this category, the Volvo 480 ES could carry four adults in perfect comfort. The luggage compartment could be enlarged by folding the rear seat backrests to carry bulky loads. Length 425.8 cm (167.6 in), width 171 cm (67.3 in), height 131.6 cm (51.8 in), wheelbase 250.2 cm (98.5 in),kerb weight 1040 kg (2293 lb).